Scripture at its best, ?Is He the Messiah? is a breakdown of parables and prophecies set forth in the Bible. Written for those who have difficulty understanding the rough, hard to understand- words of the Bible. Personally I am not a Biblical scholar, nor have I had trouble understanding the Bible?s message, but some people do. I?ve heard from several people that the reason they don?tread the Bible is because it?s too hard to understand, well ?Is He the Messiah? would be helpful with this quest. Nancy does a heart-felt job with the difficult task of breaking down the scriptures, and I recommend this read for anyone who has trouble understand the most important history book in the world. The poetry adds a nice touch. If you have never heard the prophecies about Jesus explained, or if you have and want to know more about them, this is the book for you. IS HE MESSIAH very thoroughly goes through prophecies from the Old Testament, following each one with quoted scriptures from the New Testament showing that Jesus is the fulfillment of each prophecy. There are prophesies about the coming Messiah concerning bloodline, Son of God, born of a virgin at a certain time and place, and miracles, to name just a few. Nancy takes the reader through each step of Jesus’ life from birth to death, resurrection and ascension, showing all along the way how each prophecy is fulfilled by Jesus. As a special bonus, there are poems interspersed throughout the book. 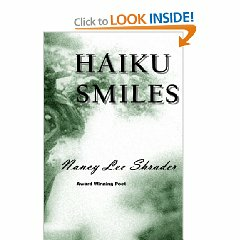 Since I am a poet myself, I especially appreciate these excellent poems. And Nancy doesn’t end it here but includes future prophecies of the second coming of the Messiah. I recommend that you read IS HE MESSIAH to become more aware of how completely Jesus fulfills all prophecies about a coming Messiah and what that means to each one of us. IS HE MESSIAH? MESSIANIC PROPHESIES REVEALED! Although many people today believe that Jesus Christ is the Messiah, there are those that do not. The Old Testament of the Bible delivers many prophesies relating to the Messiah. These prophesies concern His birth, life, miracles, and death. There are never-ending discussions and arguments about who the Messiah is or was, and there are those who still wait for His arrival. To those who believe the Old Testament of the Holy Bible, it is obvious that Jesus Christ is the Messiah. Is He Messiah? Messianic Prophesies Revealed! is one woman’s comprehensive Bible study seeking proof that validates the prophesies which indicate that Jesus is the Messiah. The book begins with the birth of Christ and how Jesus was born in Bethlehem descended from Abraham as prophesied. It goes on to show how many of the miracles that Jesus performed were also prophesied, as well as prophesies that have yet to be fulfilled, those of the second coming of the Messiah. Nancy Lee Shrader appears to be very knowledgeable about the Bible. This book is written in easy to understand language and format. The text is supplemented with insightful poems written by the author which flow well throughout the book. I am not sure how easily convinced a non-believer would be even after reading this book. However, it is a great book to supplement one’s own research of the Bible and the Messiah. With Is He Messiah? Messianic Prophesies Revealed!, Ms. Shrader has provided excellent proof that Jesus fulfilled not only one prophecy, but many, proving that He is the Messiah.